Dropbox says it’s investigating reports that some European users are receiving spam to email addresses associated with their accounts. 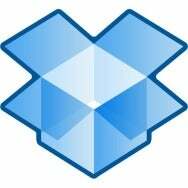 On the company’s user forum, an apparent Dropbox employee wrote early Wednesday morning that the company had brought in a team of outside experts but so far had no reports of unauthorized activity on accounts. A 20-minute outage on Tuesday afternoon was not connected with the spam, he wrote. The spam appears to be linked with Dropbox since many users reported only receiving the spam on an email address used only for Dropbox. The spam, written in German, English and Dutch, advertises gambling websites, according to users on Dropbox’s forum. Another user wrote that he immediately closed down his Dropbox account after receiving the spam and opened a fresh account. But the new one—also only linked with a unique email address not used for any other registrations—was hit immediately.